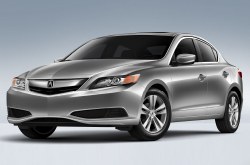 Acura of Peoria your source for 2013 ILX research and reviews. All Acura retailers in Phoenix aren't the same. At Acura of Peoria, we feel it's our responsibility to serve customers with quality Acura reviews that set us apart from the typical retailer. This article will tell you exactly what you're looking for. 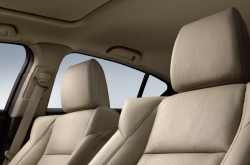 As your Phoenix Acura retailer, you can rely on us for scrupulous information on the 2013 Acura ILX. Watch the video below or skip it to get the ILX review. By examining the 2013 Acura ILX head-to-head with the 2013 Audi A3, BMW 1 Series and the Lexus CT 200h, and you can spot that the ILX transcends those autos in loads zones. View the hightlights below. Feel the [resassurance] that comes along with acquiring dependable repairs by Acura trained technicians, a free warranty on all work, and trustworthy Acura parts. At our Phoenix area repair center, this and more is available for Acura ILX drivers. Don't neglect maintaining your Acura. Turn to Acura of Peoria's friendly mechanics. We handle a large spectrum of jobs, including everything from simple oil changes and serpentine belt replacement to complex undertakings like electronics maintenance and more. Acura of Peoria's got you covered for dependable Acura repair and factory-scheduled service in Phoenix. Find terrific service coupons at Acura of Peoria by clicking at bottom!